Discover historic charm and elegance, gorgeous rooms, outdoor pool, private beach, restaurants and meeting space at this luxury Old San Juan, Puerto Rico Hotel. Fringed by bougainvillea, El Convento's rooftop sundeck offers sweeping views of Old San Juan. A spacious interior courtyard provides respite under a 350-year-old tree. 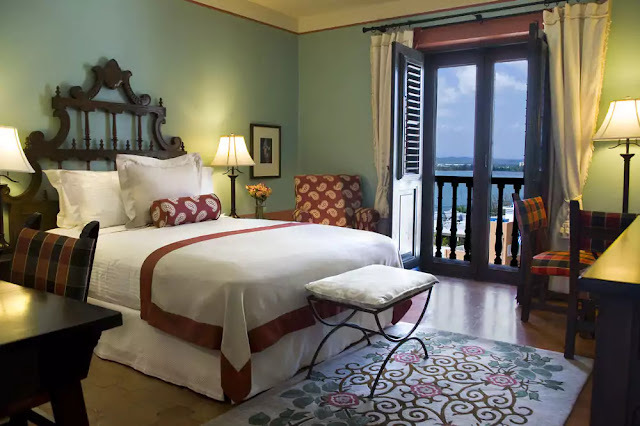 Featuring handcrafted antique-style furniture, Hotel El Convento's 58 guestrooms (all non-smoking) include complimentary high-speed Internet access, 32-inch LCD TVs, and Bose CD-player sound systems.